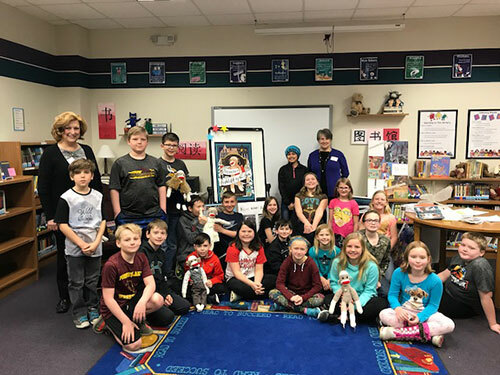 At the end of March I made author visits to two Minnesota Schools: Scandia Elementary International Baccalaureate (IB) World School and River Grove, an elementary charter school in its first year of operation. Scandia is in the Forest Lake Area School District and River Grove in the Stillwater Area Schools. My visit was sponsored by Marine Community Library, an all-volunteer library located in Marine on St. Croix. Ms. Maggie Myre’s 4th grade classroom at Scandia Elementary pictured with Christine Maefsky, Mayor of Scandia. At my request, I did presentations to seven individual 3rd and 4th grade classrooms of students rather than in a larger assembly. Also at my request, their teachers helped the students prepare questions in advance. After my formal 20-minute presentation about reading, writing, and publishing books for young readers, I opened it up for questions. I’m sure that I answered at least 15 to 20 prepared and spontaneous questions in each of the seven sessions, some the same, many different. I was impressed by the students’ astute and thoughtful questions. But I also surprised myself when my answers spontaneously released discoveries that I’ve made as a writer over the past twenty years. Here is an unstructured, slightly random list of some of the thoughts I shared with these young readers and aspiring writers. In essence, they represent the essential core of what I’ve learned as I’ve studied and practiced the craft. Inside each of you is a story that needs to be told and you are the one to tell it. The only one. Write what you know: playing a French horn, being on a hockey team, being an older sister, starting over in a new school. Your subconscious—what you know, but didn’t know you knew—will guide you to the emotional heart of your story, if you just let it. 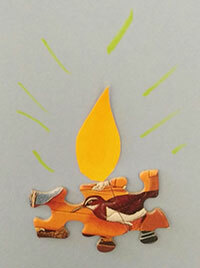 A story starts with a single spark of the imagination. The power of your imagination is infinite, without beginning or end. To write a story is to revise a story, over and over again. A book is never complete until it is read. It is you—the reader—who finishes the story with your own imagination. 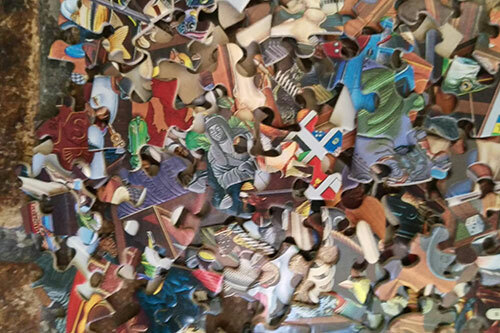 Writing a book is like doing a 1000-piece puzzle without an illustration on the cover of the puzzle box. I use my imagination to create fictional characters (human or animal) that combine what I know about myself with the traits of three others that I’ve known. Writers are readers. Why? For my answer I paraphrased one of my favorite quotes about reading by Esther Porter: Your brain files away lesson after lesson all on its own. Reading great books can answer your revision questions, even if you’re unaware of what you’re looking for. We pick up stylistic tools and techniques, we develop our sense of linguistic rhythm, we even become better spellers when we read. And when we return to our writing, we do so with a more complete tool best, with the ability to fix problems we couldn’t see before. When writing fiction, keep this in mind: Only trouble is interesting. William Faulkner said: The only thing worth writing about is the human heart in conflict with itself. Sometimes a writer’s first idea is not the best idea. 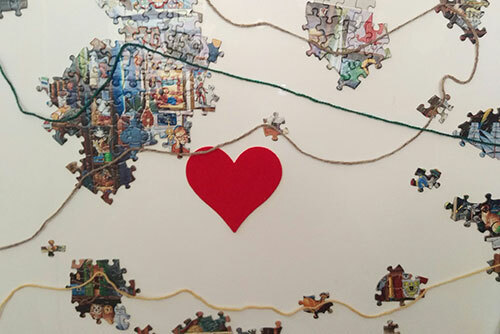 The pieces of the puzzle don’t fit. The plot threads won’t come together. You can’t find its emotional center. Be prepared to start over. Our stories—my stories, your stories—are hidden, like secrets in the attics of our own lives. The characters for your stories are all around you. Bringing a book into the world is a team effort; the author is no longer in control. You learn how to write a book by writing a book.